You and your spouse or partner want to own a home together. But your partner's credit is a mess. Or maybe your partner doesn't work and can't contribute any income to use when applying for a mortgage loan to finance your new home. Fortunately, two people can own a home together without both of them having to apply for the mortgage loan that helps them buy the residence. 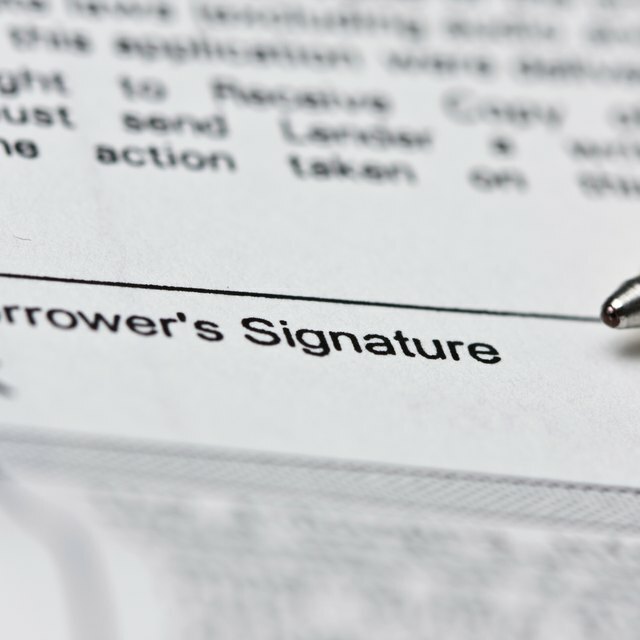 Only the owner applying for the mortgage loan needs to be named on the mortgage documents. Both owners, however, will be on the home's deed, which serves as proof of ownership. A mortgage loan and a title are not the same thing. The mortgage loan is provided by a lender. The lender loans you the money, at a specified interest rate, to buy your home. You then repay with payments every month. A title lists the owners of a home. It is possible to have only your name on the mortgage loan – meaning that you are the person responsible for making payments and the one who will suffer the consequences if you don't – and both your name and your partner's on the title of a home. In other words, you and your partner can both own a home even if you are the only one listed on the loan that you used to buy this home. It might make financial sense to not have both owners apply jointly for a mortgage loan to buy a home. This usually happens when one owner has bad credit. Lenders rely heavily on three-digit credit scores when determining the interest rates to charge borrowers. Lenders typically reserve their lowest interest rates for borrowers with credit scores of 740 or higher. When two people apply together, lenders will rely only on the lowest credit score among them. If your score is 780 and your partner's score is a far lower 600, your lender will throw out your score. This can make it difficult to qualify for a mortgage loan. And if you do qualify, your interest rate will be higher, along with your monthly mortgage payment. A downside, though, comes with only having one owner apply for the mortgage loan; you'll only be able to rely on one income. This might lower the amount of mortgage money to which you have access. For instance, if your income is $80,000 a year and your partner's income is $60,000, your lender will consider your household income to be $80,000 a year if your partner's name isn't going on the mortgage loan. Your lender won't be able to add that additional $60,000 to your household income. You and your partner can both claim ownership of a home during the mortgage loan closing process. Tell your loan officer that you want you and your partner's name to both be on your home's title. If this happens, both you and your partner will be considered owners of the property, even if your name is the only one on your mortgage loan.